Lima’s Chinatown is one of the oldest in the America’s and thanks to Chinese immigrants that arrived in Peru 150 years ago, a new cuisine was born — Chifa, or Chinese-Peruvian food. Some recipes are traditional, and others are a fusion, but all of them are well loved and have made Chifas very popular all over Peru. For my family, Chifas have always been where we go to celebrate a birthday, anniversary, or special occasion with a family style feast. In this hands-on cooking class you will prepare three Chifa dishes, and enjoy them in a sit-down family style meal. 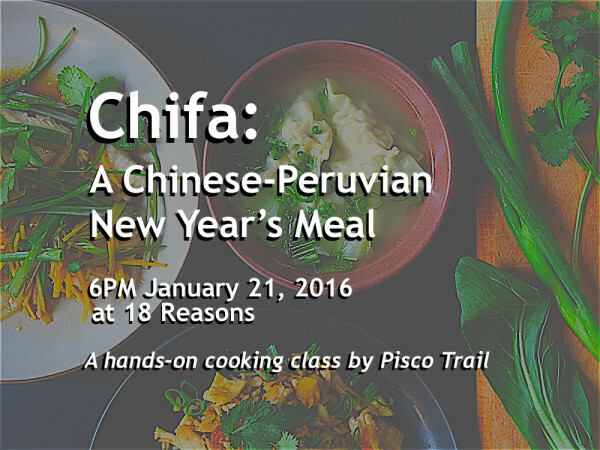 This class is taught by Nico, Peruvian chef, Pisco mixologist, and founder of Pisco Trail. 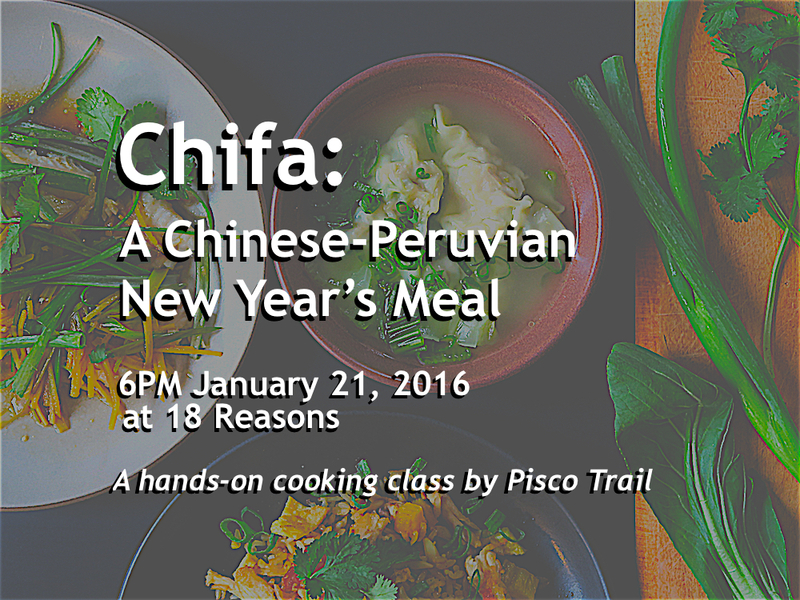 Born in Peru and based in San Francisco, CA, Nico has enjoyed dining at Chifas all his life and is thrilled to share some of his favorite recipes with you in this class. Visit piscotrail.com for recipes, cocktails, and a calendar of upcoming pop-up dinners and classes.